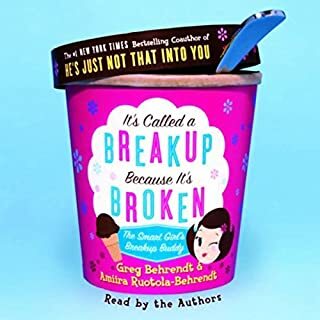 Reexamining familiar scenarios and classic mindsets that keep us in unsatisfying relationships, Greg Behrendt and Liz Tuccillo's wise and wry understanding of the sexes spares women hours of waiting by the phone, obsessing over the details with sympathetic girlfriends, and hoping his mixed messages really mean "I'm in love with you and want to be with you". 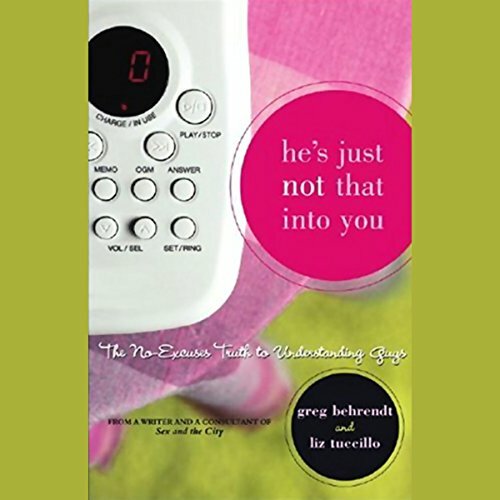 He's Just Not That Into You is provocative, hilarious, and, above all, intoxicatingly liberating. It knows you're a beautiful, smart, funny woman who deserves better. The next time you feel the need to start "figuring him out", consider the glorious thought that maybe He's Just Not That Into You. And then set yourself loose to find the one who is. In order to make this book more accessible, the authors often use easy maxims, such as "He doesn't call." to try to get the point across that "He's not that into you." This makes the book easy to criticize (and I have my own issue with "Women should never make the first move."). 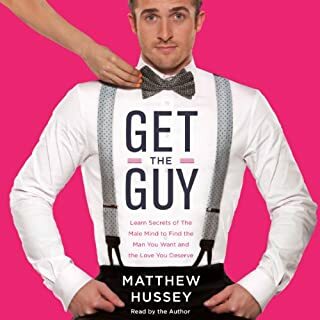 However, after listening to the entire book, one realizes that the underlying message is that if the person you are dating (and I agree with previous reviewers that this book would help both men and women) is not treating you the way you want/deserve, you need to move on. I do take issue with the previous reviewer who uses the example of a woman who talks of marriage before the salad; that is not who this book is for or about (perhaps he should FINISH the book before reviewing it). 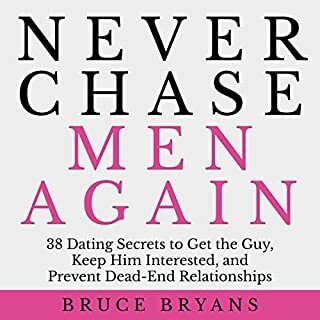 Sadly enough, the examples used in this book include the woman who hopefully dates a married man for a year, or the other woman whose partner refuses to commit for whatever reason after many years. When years (and pride, I mean, please, a married person?!) are lost, "having fun" is no longer funny. 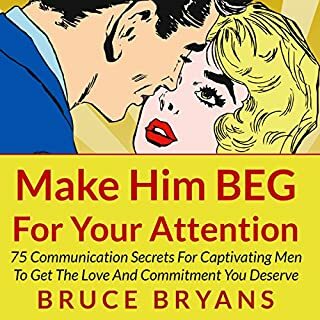 If anything, I do think this book PROMOTES dating, as it makes sure a woman doesn't get stuck on and "wait for" someone who is not good for her for the long run. This book teaches me to spend my time with people who truly like me and who meet my standards of a decent human being. Not to much to ask for, is it? I've recently encouraged a bunch of my "friends that are girls" to read/listen to this book. Really, the first two chapters are the keys. After that, it just goes into a few more examples and a little more detail. It really IS as simple as the author states. If I'm into you, I'm going to do whatever I can to talk to you and spend time with you. If I am legitimately busy with unavoidable work conflicts, I'm going to constantly let you know this with phone calls and e-mails. This book was a whole lotta fun in general. The great thing I got from it though was the ability to relax during the dating process. I now value my time and myself more and have learned to see each guy for who they really are instead of viewing them through a veil of overeager optimism. It is still a bummer to invest time in developing a relationship with someone only to have them flake out. At least now I'm not caught by suprise, I don't overinvest and certainly don't obsess. Life is just too short. Half way through the book I wanted to tell Greg he was full of it until he hit the nail on the head for something I go though on a regular basis with men. So yes, this book may really piss you off, but it's possible that if you were drawn to this book in the first place, that you'll find yourself in one of the situations described in here. I'll think about that one paragraph everytime I find myself yearning for some guy "Who's just not into me" and I'll know it before I lead myself along too long. Sometimes I think that Greg's tendency to tell you to walk away right away is a little too cut and dry, but it's possible that he's right and I'm not ready to accept what he's saying...but that is the point of the book....we all spend too much time thinking some guy is worth waiting for and all we're doing is wasting precious time. If anything, it gives you something to really look at within yourself. 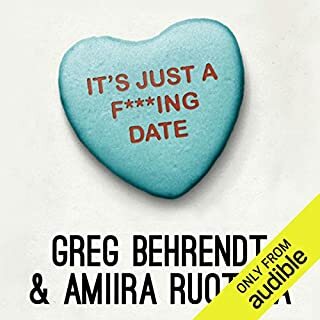 This is by far the best audio book I have ever heard! I've listened over and over again. The way it's written, the way it's narrated...all awesome. I want to take every tidbit of information and post it on my bathroom mirror...to remind myself of all the good information. I liked it so much I'm going to buy the book for additional reference. It was nice to hear a former-player's perspective. It was empowering and helped me to remember that just because the guy may not be that into me, does NOT mean that it's my fault or my problem. I'm tired of settling for crumbs, and this audio reminds us all that we can simply say "no" and walk away. GREAT AUDIO BOOK! Even it you think you know it all when it comes to dating, its a must read for all who date. If your in your twenties its a must read, your thirties, and up its a refresher corse, also a must read. The main reason is that men and women think differently, and as much as the world changes and times keep changing, we as women need this info to keep us from getting hurt. 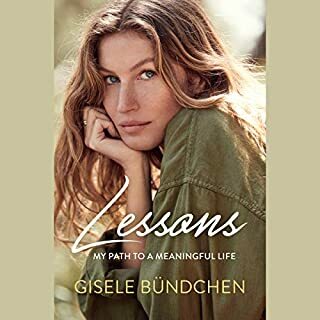 Five minutes of listening to this book convinced me I ought to have had it as a guide for my last five relationships. Oh well. Women are taught, at a very early age, how to stay in relationships. They know how to connect interpersonally. Men, on the other hand, are taught, at an early age, how to get into relationships... and that's it. That is all they know. As a guy, I have recommended this book to every single woman I know. It is painful, but it is the truth. If you want to know what goes through a guy's mind (or what isn't going through it) listen to this book. Every women needs to hear this one. The information is priceless and the delivery is entertaining. This book has some serious and sometimes disheartening information, but it is delivered in an upbeat and humorous way. It is a first rate course in "when to stop wasting your time and go find someone who appreciates you" and the continuing theme is "you deserve better than that"! Be educated, entertained, and encouraged. This book was a great listen and as soon as I was done, I gave it to my daughters. -- A great gift for the women you know! This book helps me a lot !! I'll never wait his call anymore. I won't waste my precious time for a jerk. I really recommend women to read this book. It'll make you strong for sure! !